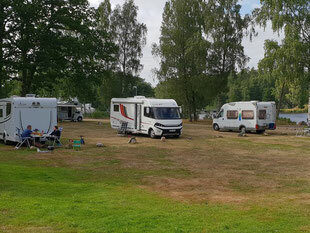 Sleeping in Småland, Sweden. - De website van swedenforsale! 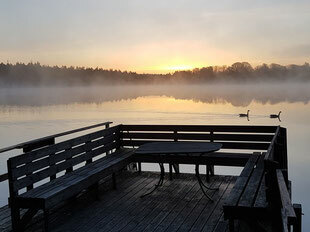 In Den Sovande Älgen (the sleeping moose) you can stay overnight in our Bed & Breakfast or stay on our little campground with views on the river Lagan. In the river you can swim or cano. In the surroundigs there's good hiking and biking. On a short distance you will find nice cities like Helsingborg, Halmstad, Älmhult and Växjö. 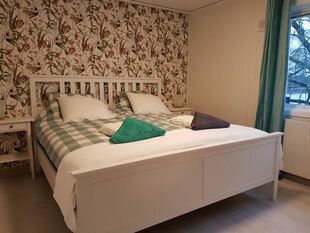 Several rooms and appartments with comfortable beds. Come join us with your Mobile home, caravan or tent and stay overnight with views on the Lagan river. Good possibilities for swimming, biking and hiking. You make day trips to Lahom, Helsingborg and even Copenhagen!